What is Retino-A (Tretinoin) used for? 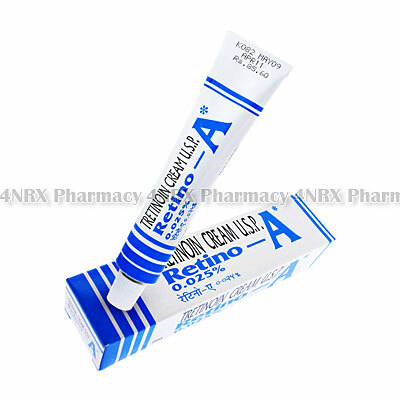 Retino-A (Tretinoin) is a topical medication prescribed to treat or control acne. The cream operates by encouraging the renewal of skin cells to produce healthier skin while unblocking pores to prevent pimples from forming. You physician may prescribe it to treat other unlisted conditions, as well. How should I use Retino-A (Tretinoin)? Retino-A (Tretinoin) is normally administered once daily, but your individual instructions will be determined by your physician based on your health condition and the severity of your symptoms. Rinse the area being treated and wash your hands with soap and water to remove any oil, dirt, or contaminants prior to administration. Put a small amount of cream onto the area using your finger or a cotton swab and gently massage it into the skin. Thoroughly wash your hands after application to prevent it from contacting other areas not being treated or the mucous membranes. Always ask your physician any questions you have about the medication to ensure the correct usage. What are the side effects of Retino-A (Tretinoin)? Immediately inform your physician about any intense or worrying symptoms you experience being especially cautious about signs of an allergic reaction such as hives, swelling, or trouble breathing. These conditions may require alterations to your regimen such as reduced application frequency or emergency medical attention in more serious cases. 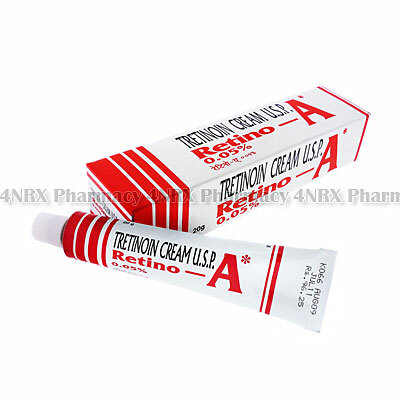 Do not apply Retino-A (Tretinoin) to skin that is broken or severely damaged. It is also important to keep it from contacting any mucous membranes such as the eyes, mouth, or ears. Do not use this medication if you are pregnant or have eczema, rosacea, an inflammatory rash surrounding the mouth, or a history of tumors appearing on the skin. Also disclose if you have sensitive areas of the skin as this condition may cause unexpected problems during treatment. Strictly follow all instructions provided to you by your physician or pharmacist while using Retino-A (Tretinoin). Optimum and safe dosage can differ based on the patient and the condition being treated.